Homepage>Exhibitors & Products >AutoFloor system. 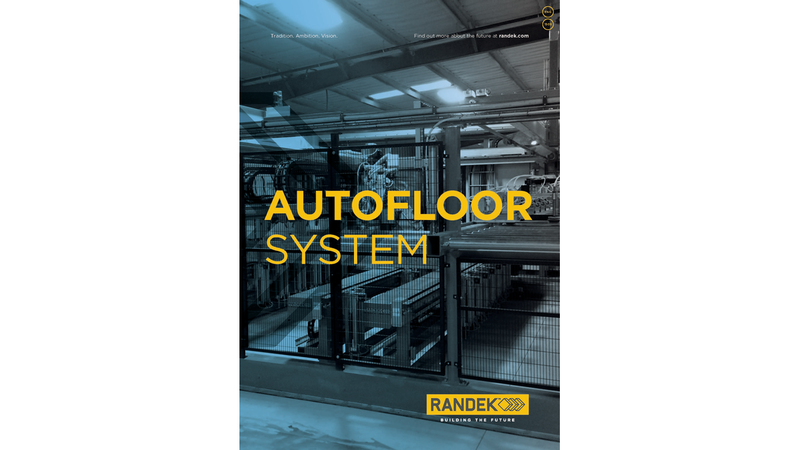 The Randek AutoFloor system is the world´s most automatic production system for floor elements, floor cassettes, roof ceilings and roof elements. Automatic adding/handling of sheets including automatic handling of tongue and grove in sheets, Automatic and flexible support making it possible to produce complex non square floors/roofs/ceilings, Open jig solution for effective and ergonomically working conditions, Double jig solution for effective production and high utilization of the automatic bridge, Effective and automatic handling of sheets of various heights/thicknesses, Effective and automatic material handling of the ready produced components, they are effectively transported to loading position.